Here's the brand-new STAR WARS cover, and accompanying four-part article, from the tenth issue (Cover-dated January 1984) of in-house plugzine MARVEL AGE MAGAZINE. The article sets out Marvel's immediate post-JEDI plans for the monthly book. 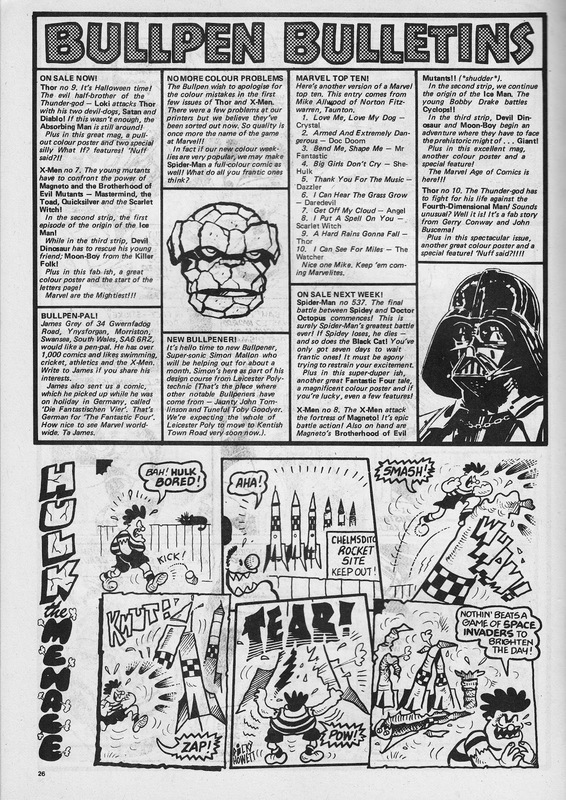 All of the strips discussed here, of course, also saw print in Marvel UK's RETURN OF THE JEDI weekly. 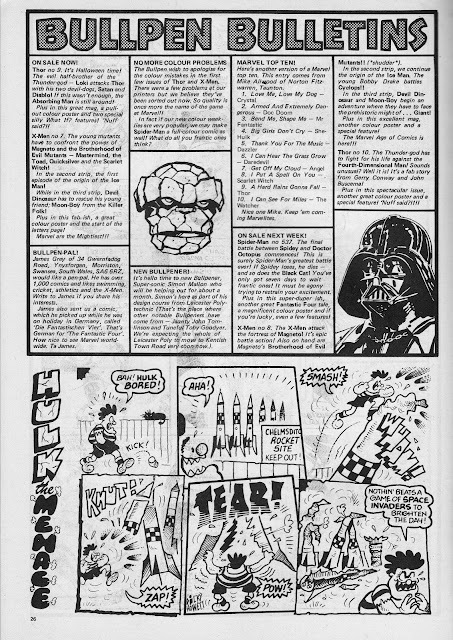 Unlike their treatment of DOCTOR WHO, Marvel USA were surprisingly reticent to reprint the STAR WARS strips created for, or by, Marvel London. 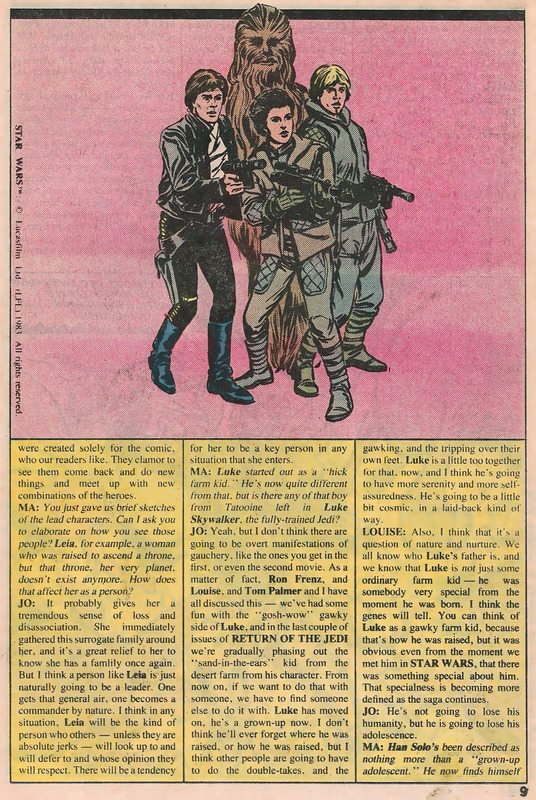 You'd think that with the monthly Star Wars book a constant, and occasionally top, seller they'd be keen to get every scrap of material onto the US newstands and watch the profits roll in. Nope. The 'extra' strips created for the US Bullpen to fill the insatiable appetite of the British weekly barely made a dent stateside. No longer deemed suitable for the core monthly after the second movie, they were burnt-off in a couple of barely-seen paperback books (good luck finding copies of those at a reasonable price!). 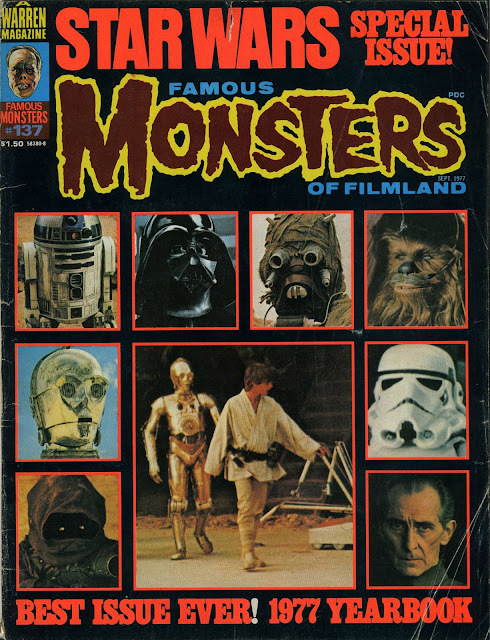 During the period between the second and third flicks, the British title (by now in a monthly holding pattern) started to experiment with British-created strips. Amongst the young creators roped-in was a just-starting-out Alan Moore (who - lets be honest - apparently only had a thinest of grasps of 'Wars lore). M-UK themselves reran a bunch of these strips in their first STAR WARS SUMMER SPECIAL (see here) in 1983 but there never seems to have been any thought of releasing these in the States. That might be because they were barely authorised, if at all, by the powers-that-be at Lucasfilm. 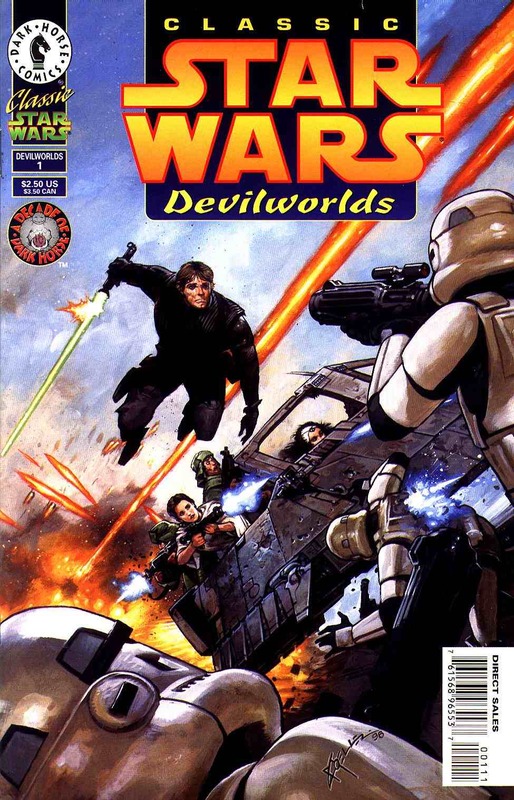 That changed in 1996 when Dark Horse Comics snuck out these two CLASSIC STAR WARS: DEVILWORLDS issues which reprinted (in colour, for the first time, to boot) most (missing one) of the British Star Wars strips. There's nothing on the (new) covers to suggest what's inside or who's on the creative roster. 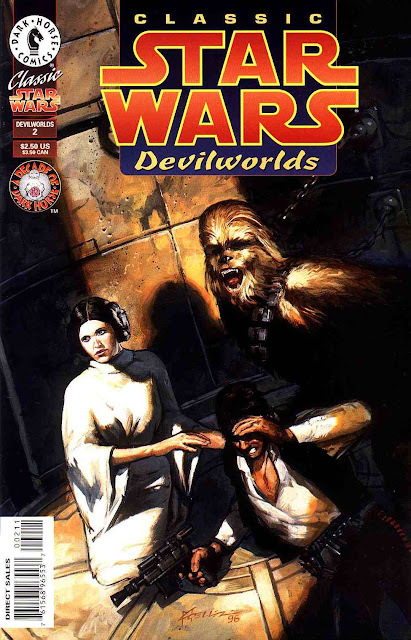 This year, Dark Horse will finally release an omnibus edition which promises to reprint the entire Marvel UK back-catalogue of Star Wars strips. For most US fans, it'll be the first time they'll see them. Frankly, I find it amazing that its taken them so long to get around to it. Whether it'll include all the original covers created for the British title remains to be seen, but I suspect it's unlikely. It would be lovely if they treated the British Star Wars strips with the same respect IDW are treating the Marvel UK TRANSFORMERS material. Their collections are packed full with copious "making of" material that makes them absolutely essential purchases, even if you own one of the previous reprints (or even the original issues). 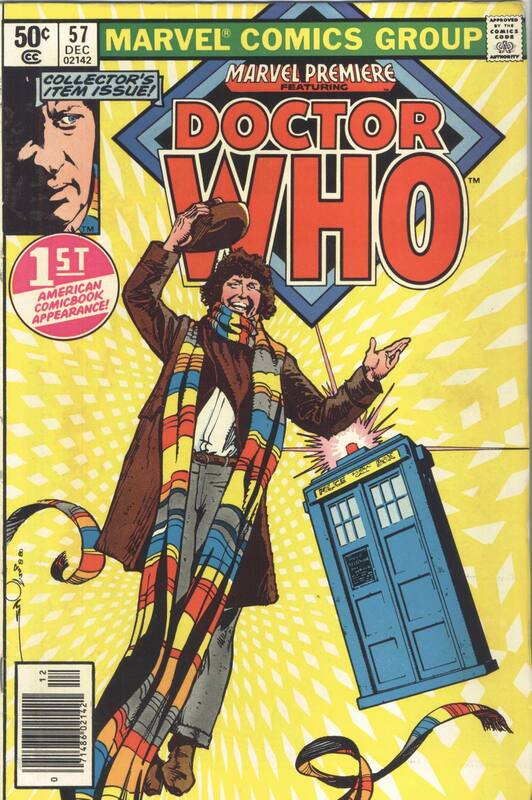 These are the covers from the four-issue premiere of Marvel UK's DOCTOR WHO strips stateside in, appropriately enough, MARVEL PREMIERE (57-60) from 1980-81 (the book was bi-monthly). Reprinted (behind new covers) were two of the earliest stories, The Iron Legion (surely the chief contender for the most reprinted WHO strip ever) and The City of the Damned (amusingly retitled City of the Cursed because - you know - damned is a such a bad swear), published in colour for the first time. 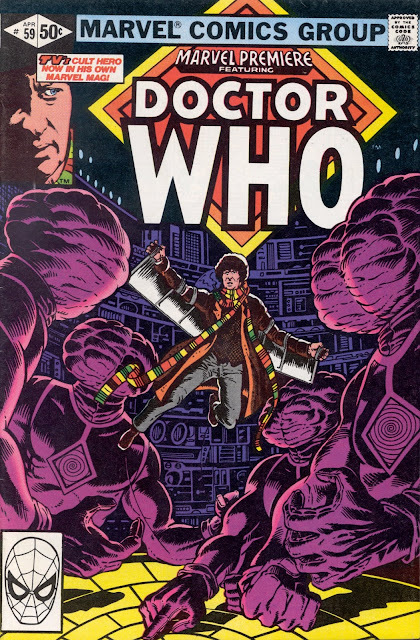 Marvel UK later grabbed back that colour artwork and reran the Legion strip in the DOCTOR WHO SUMMER SPECIAL 1985. More details here. Jadwin House's Dez Skinn had always intended that the British strips reappear across the Atlantic, taking great pains to structure the strip so that several British chapters could be combined with minimum re-editing to create a US length story. 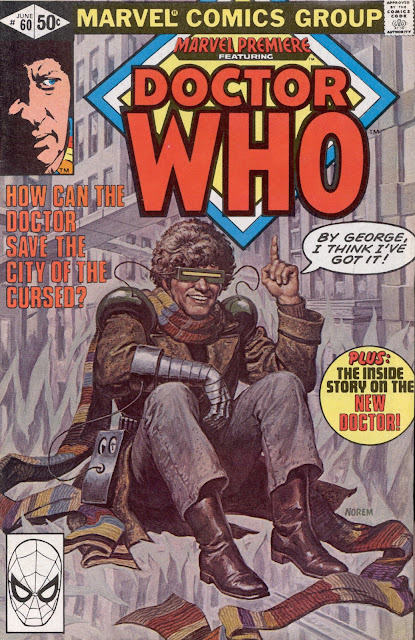 The success of this trial run, and the WHO filler slotted into the back of the STAR-LORD one-shot (see here), convinced Marvel New York to launch the regular up-market (Baxter paper!) 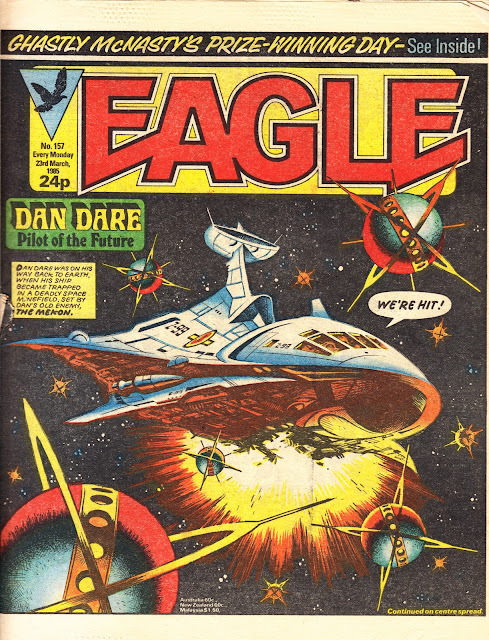 US monthly (1984-86) which, along with the 2000AD reprints from Eagle Comics, helped to spearhead the mid-eighties invasion of US comicdom by the Brits. Marvel Premiere was Marvel's try-out book for characters that, if well received, might progress to their own books or - at the very least - a return engagement in Premiere. 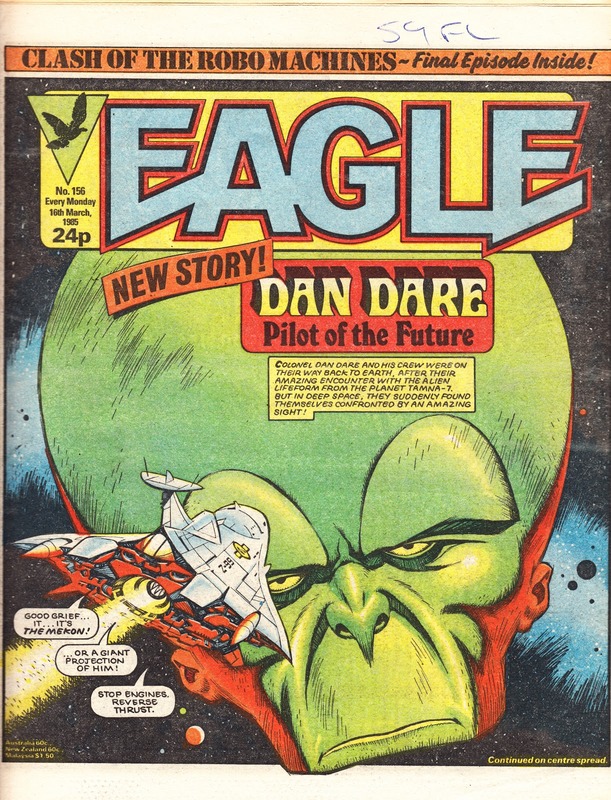 It was also a handy supplier of extra strips for Marvel UK to reprint. 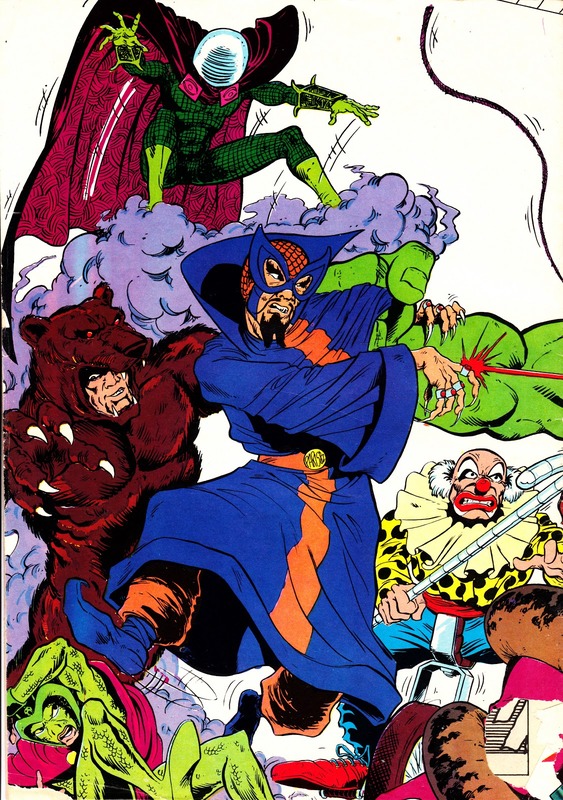 Previously featured strips had included Dominic Fortune (56); Black Panther (51-53); Alice Cooper (50); Man-Wolf (45-46); Paladin (43); Seeker 3000 (41); Weirdworld (38); Monark Starstalker (32) and an extended Iron Fist run (15-25). 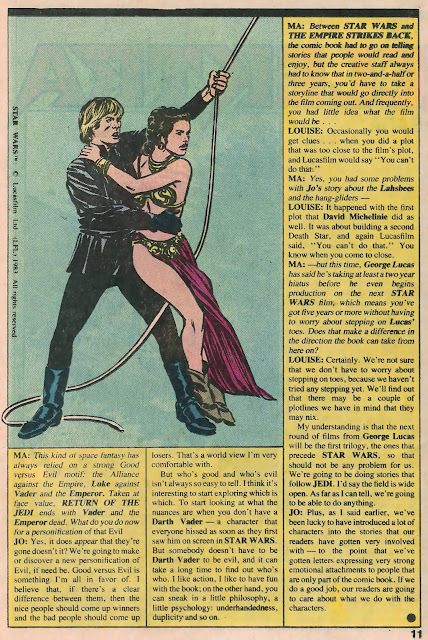 Today, it's back to the Summer of 1977 and, for the United States at least, the summer of STAR WARS. 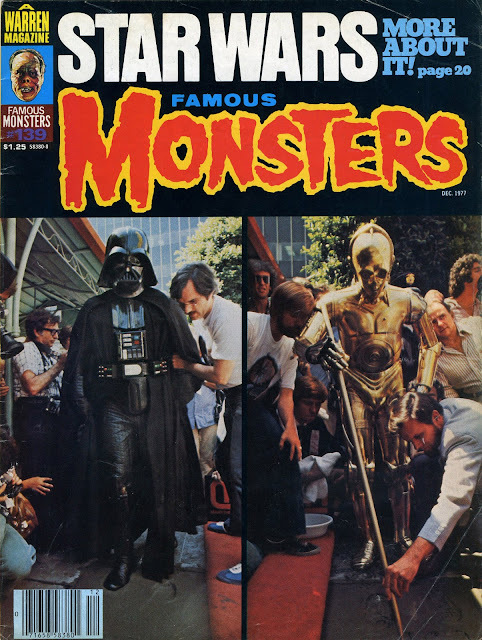 These are three consecutive covers (137-139) from the legendary FAMOUS MONSTERS OF FILMLAND magazine. I've no idea how many copies of FM crossed the Atlantic, and when they arrived, but these* must have given British readers a tantalising early glimpse of the film that would change everything. And - you have to admit - it does all look rather exciting. I particularly like the third cover because of the rather nice pictures of Darth and the droids leaving their boot prints in Hollywood. 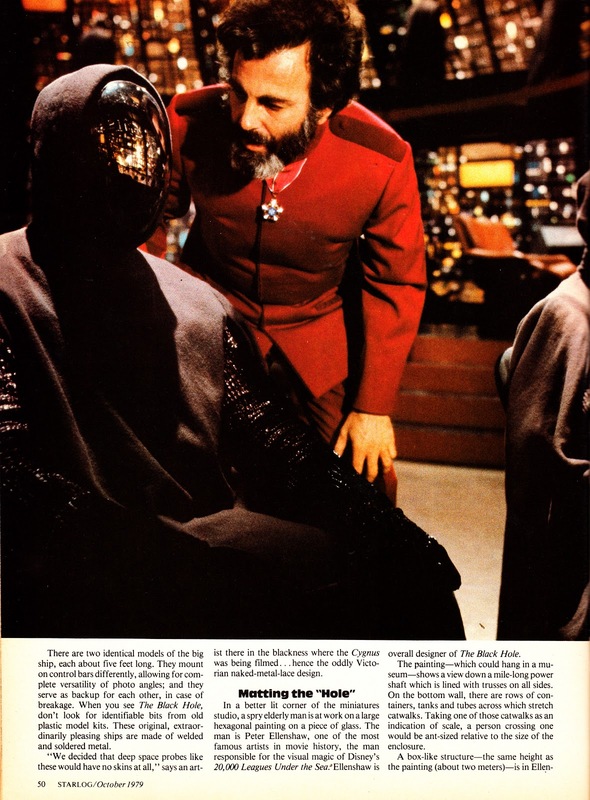 It's an event thats bound to turn up in any retrospective TV documentary of the saga with a half-decent budget for archive, but I hadn't appreciated that it had happened quite so soon after the movie had opened. FM regularly revisited the 'Wars every time a sales boost was required and I'll post some of those covers in the coming days. 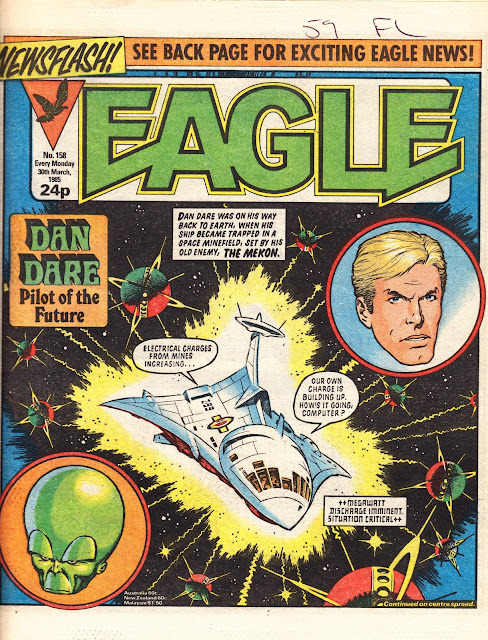 * Along with copies of Marvel's tabloid-sized reprints of their movie adaptation which reached British newsagents, along with plugs in the British weeklies, during the autumn of '77. I previewed it yesterday so I thought it was timely to post the landmark 500th issue of SPIDER-MAN's British weekly, from 6 October 1982. Even at a time when comics could expect to sell more copies, and survive longer, its still an impressive longevity which I doubt few titles could ever hope to achieve today (although the accumulated totals of the Panini SPIDER-MAN and X-MEN Collectors' Editions, both launched in 1995, are nothing to be sniffed at). The celebrations would have happened a few weeks earlier had publication and distribution of the weekly not been disrupted by industrial action in the haulage industry in early 1979. 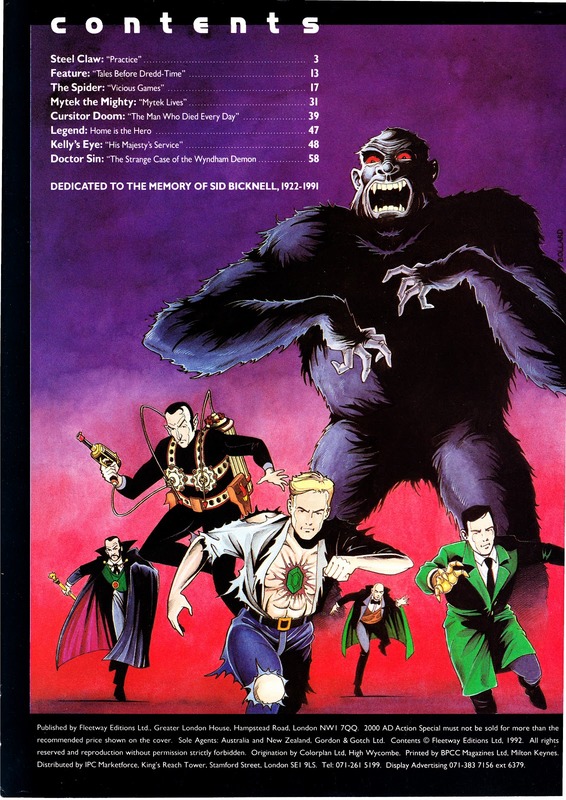 The British weekly eventually notched-up 666 issues before succumbing to falling sales and sporadic distribution (copies were often impossible to find and I had to place "a regular order with my newsagent" to ensure my weekly dose) in December 1985. A further 51 weeks were added to the cumulative total, in the form of SPIDER-MAN AND ZOIDS, in 1986-87 before the web-slinger's British reprints went on hiatus. 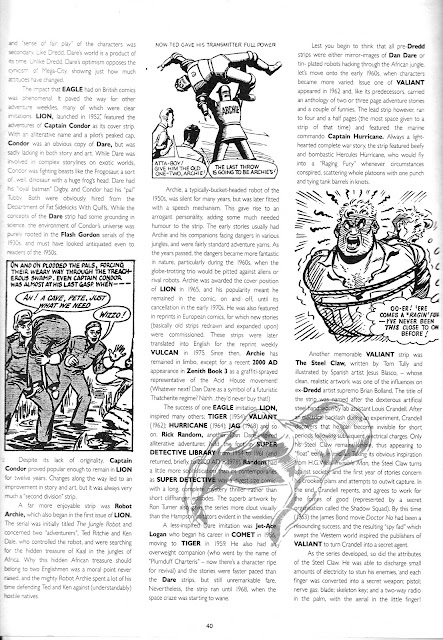 Issue 500 was the first to appear under the simple "Spider-man" masthead, despite the house ad that retained the previous "Super Spider-Man TV Comic' logo, a legacy from the 1981 tie-in with the live-action TV show. 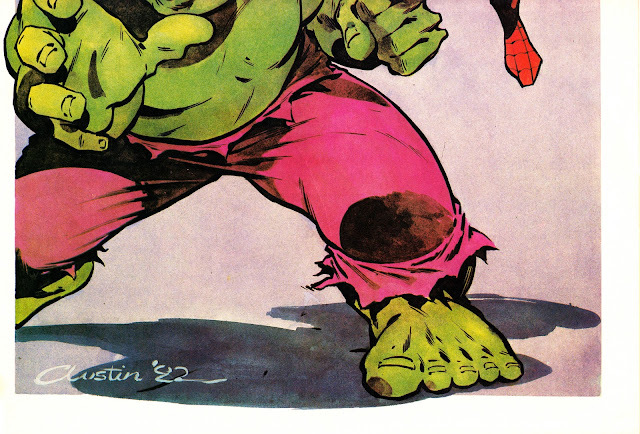 The anniversary issue also absorbed THE INCREDIBLE HULK. A case of history repeating itself as the Green Goliath's first British solo title had also sought the web-head's sanctuary in 1980. The special occasion was marked by this impressive wrap-around rouges gallery cover and free cover-mounted badge (my copy has long-since lost the freebie... and sustained some battle damage in the process). 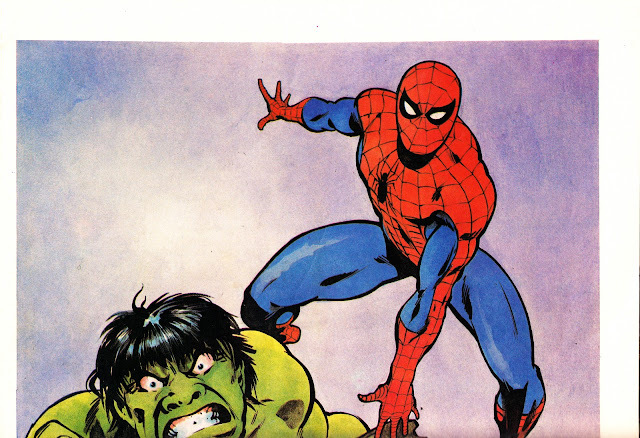 The glossy centre pages made the most of the merger with this original pull-out Hulk/ Spidey "team-up" poster with a suitably insane-looking Hulkster. 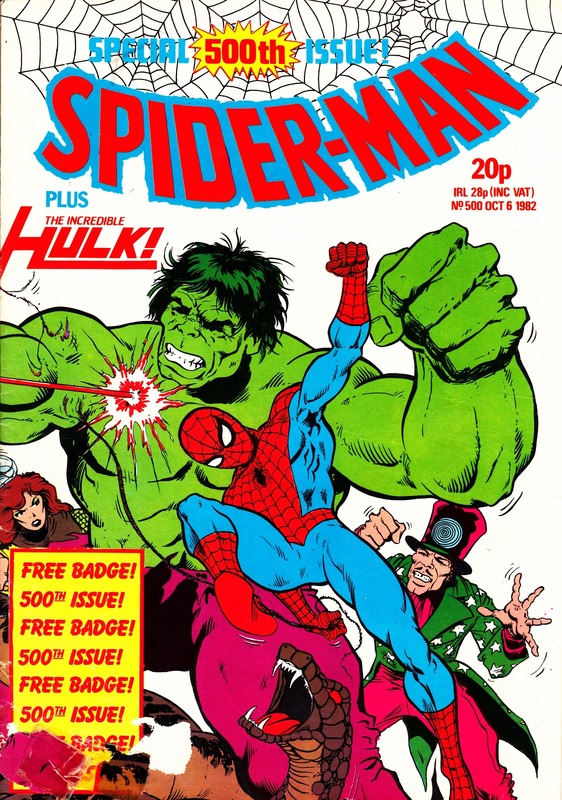 After a brief run, THE INCREDIBLE HULK (technically Volume 2) merged with SPIDER-MAN to make way for the equally short-lived FANTASTIC FOUR (once again, a second weekly run). 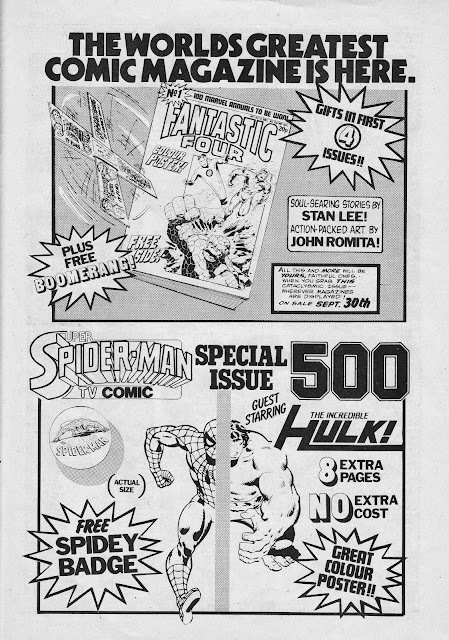 Turning to the second house ad, when Spidey's landmark 500th issue hit the newsagents shelves, it had actually jettisoned the SUPER SPIDER-MAN TV COMIC title in favour of - for the first time - plain ol' SPIDER-MAN. I've posted about the FANTASTIC FOUR at Marvel UK here, and the HULK here. 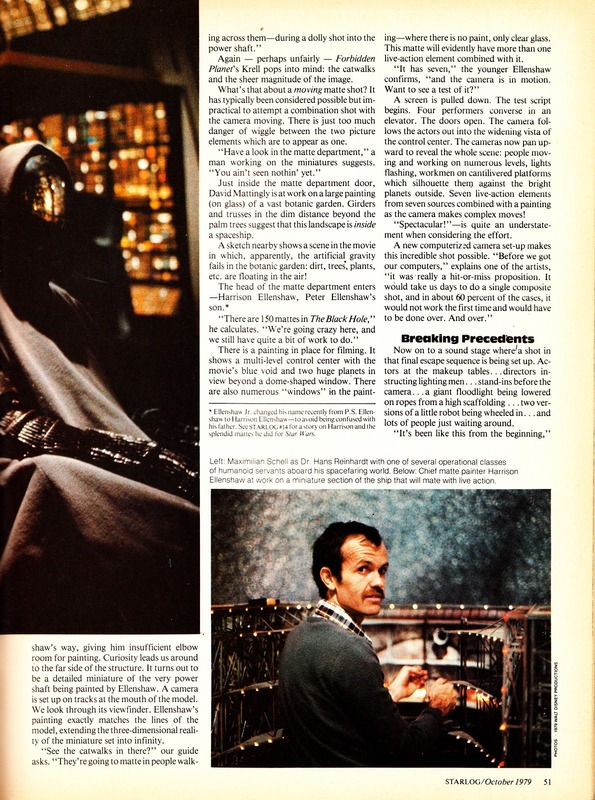 This is the British BULLPEN BULLETINS page published in the weeklies dated 15 June 1983. 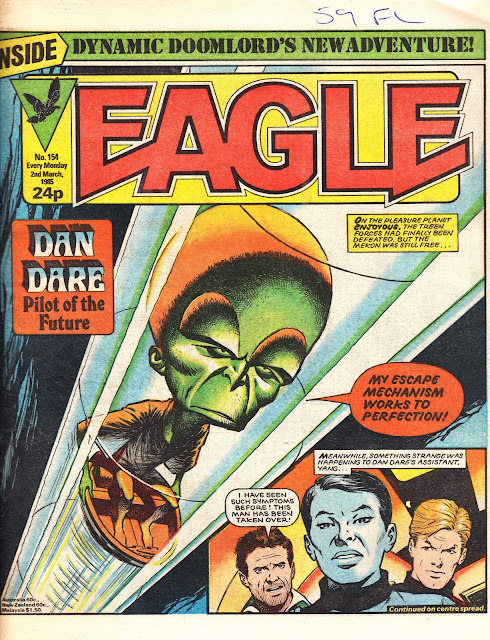 Amidst the usual business-of-the-week is an apology for the crappy printing that plagued the early issues of the new wave of colour comics (THOR, THE X-MEN and THE MIGHTY WORLD OF MARVEL). Despite a few tentative steps in that direction, colour was a long time coming to the British range and, when it did arrive, it was pretty disastrous. The colour plates were often out-of-allignment, rending pages difficult to decipher. 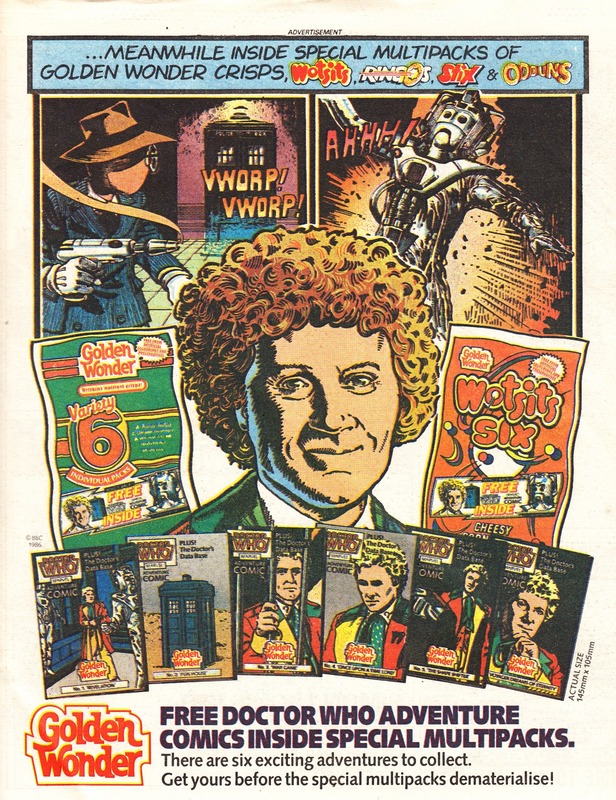 Making things worse, the paper was often creased as well creating an immensely unattractive package. 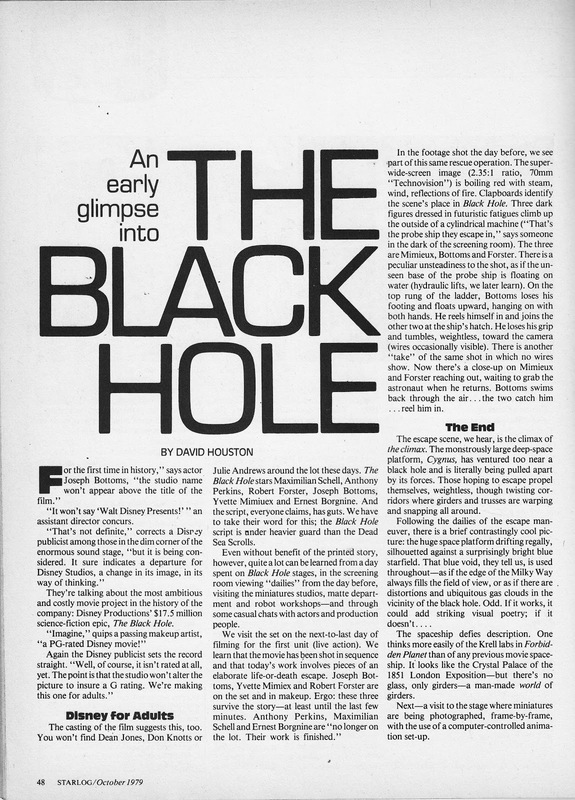 Readers were also annoyed that the glossy centre spreads, introduced in 1981, were sacrificed for the new format. 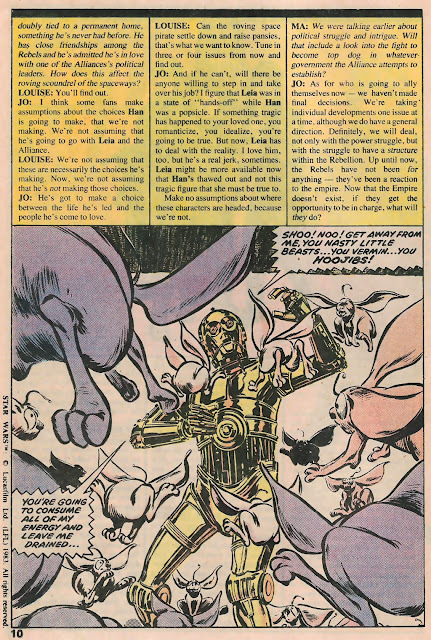 Wisely, and possibly anticipating disaster, the Bullpen waited for the technology to bed down before rolling-out the process to established top sellers SPIDER-MAN and STAR WARS, although both switched for the summer. The mighty Marvel Mandarins obviously also realised that the sums didn't quite add up as the number of colour interior pages also dropped after a few months, leaving issues a weird hybrid of colour, b&w +1 (a throwback to the earliest days of British Marvel) and plain ol' black & white. The 1983 format change was the first of several changes which eventually led to the entire weekly range adopting the full-colour, 24-page glossy format by 1986. 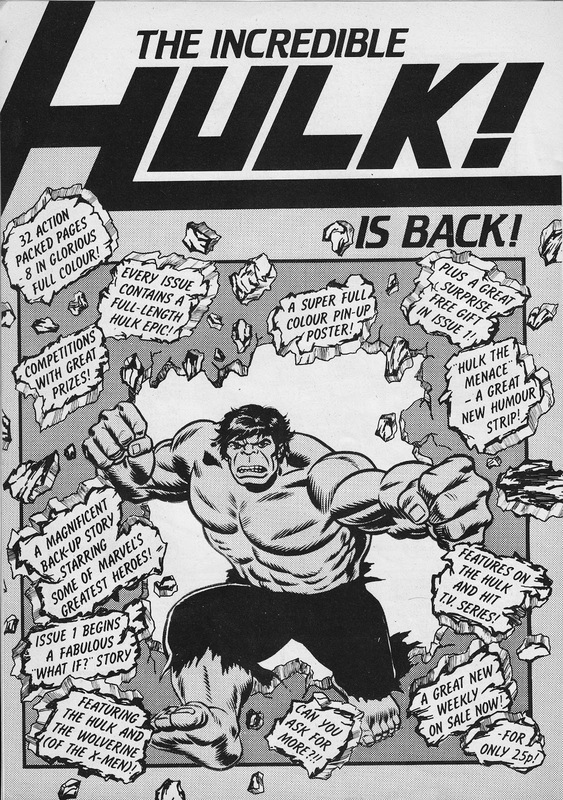 This is the March 1982 launch add for the second INCREDIBLE HULK weekly from MARVEL UK, replacing its more noted predecessor (1979-80) and - presumably - prompted by the continued airings of the live-action series on ITV. Unfortunately, the revival proved roughly half as successful as its predecessor and closed within the year. I've covered the green goliath's British career in more detail here. In November 1986, coinciding with DOCTOR WHO's uncelebrated 23rd birthday, Golden Wonder (purveyors of assorted bag-based snacks) teamed-up with MARVEL UK to produce six in-pack WHO mini-comics reusing strips recently published in DOCTOR WHO MAGAZINE. 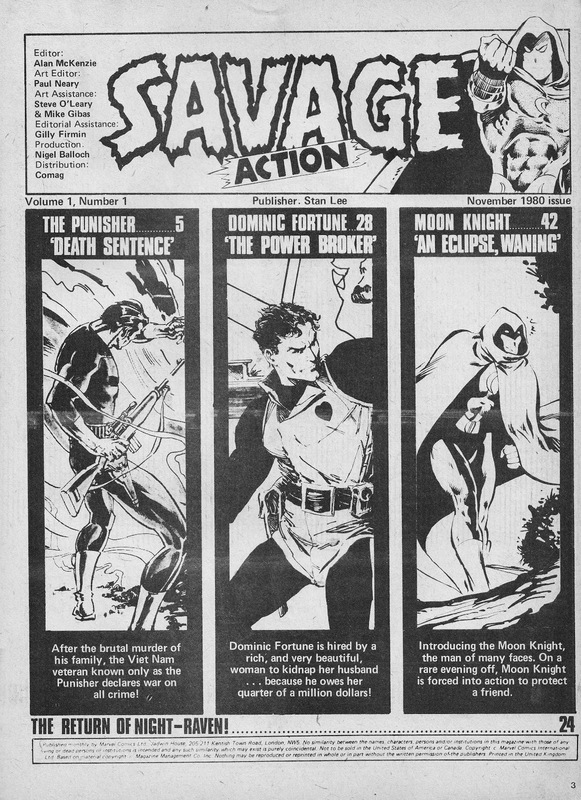 It's not obvious here (presumably because IPC's crappy print quality made photo reproduction a haphazard art) but each of the mini-comics (bagged in multi-packs) featured a photo cover. The interiors weren't straight reprints: the strips appeared in colour for the first time and the art and scripts were reworked, notably to omit current companion Peri (presumably because her inclusion would have required extra payments to Nicola Bryant and the BBC. This promotion was a considerable show of faith in the continued pulling-power of the show considering its lack of love within the Beeb itself during this tumultuous period. 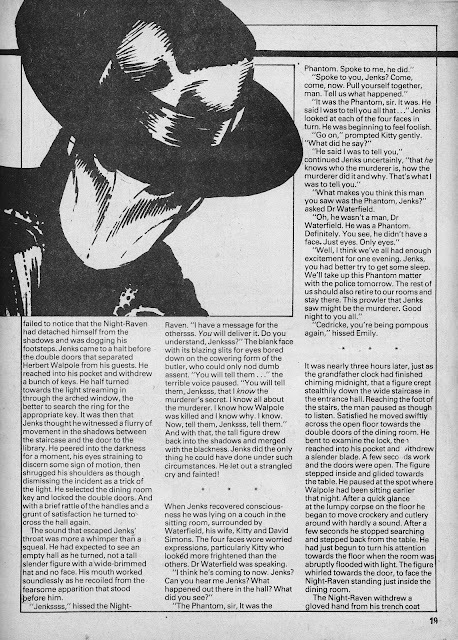 This advert appeared in the EAGLE dated 22 November 1986. 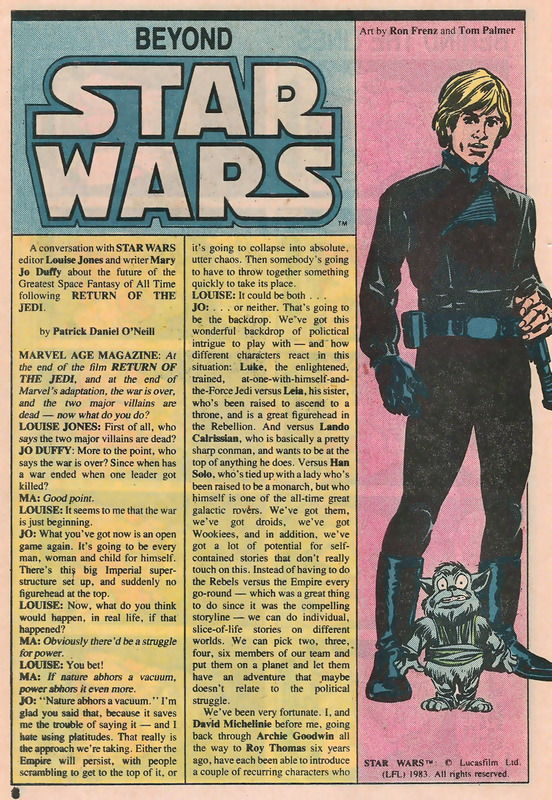 This week: the five issues with March 1985 cover dates. 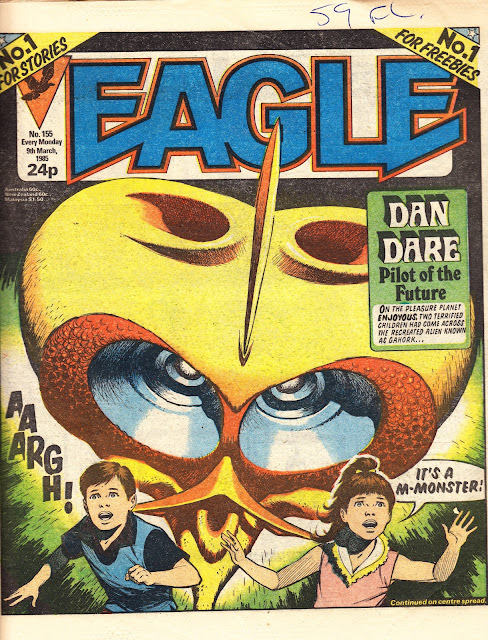 Note the sudden disappearance of SCREAM from the masthead. Coinciding with the premiere of the syndicated STAR TREK revival (it's hard to over-empaphise how big a deal this was way-back-when), Starlog launched this licensed spin-off. 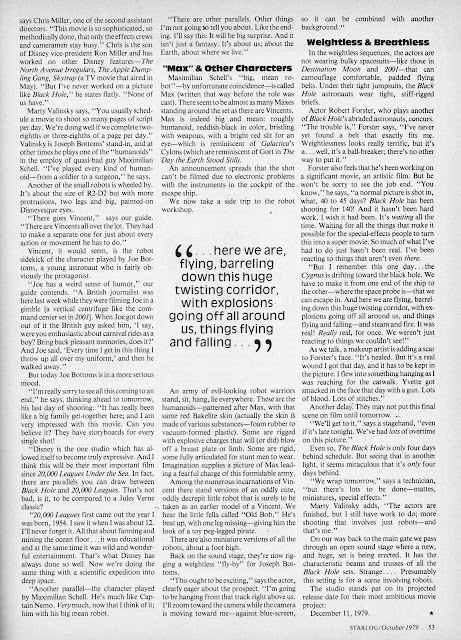 STAR TREK THE NEXT GENERATION (THE OFFICIAL MAGAZINE SERIES) combined lengthy episode summaries (which, perversely, were probably more interesting to British readers who - save for the CIC rental tapes - didn't see the show for several years than the intended US readership) with behind-the-scenes articles and interviews (all copiously illustrated with stills and production art) and pull-out centre-page posters (buyer beware: make sure all back issues you're planning to buy still have the posters attached). 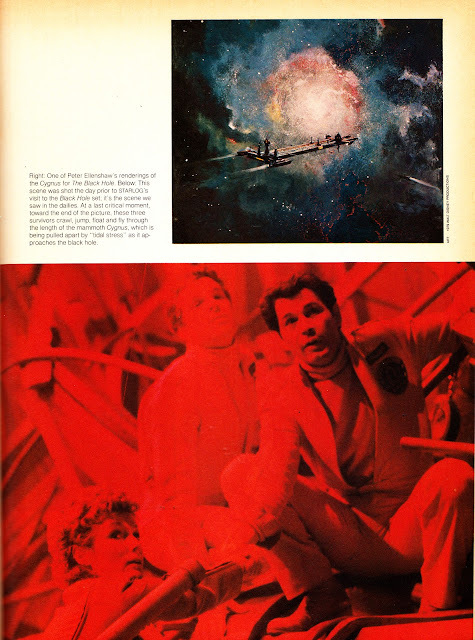 Starlog, itself originally conceived as an unofficial Trek tie-in, had already published several official tie-ins with the third and fourth Trek movies (and would continue its association through the rest of the run). 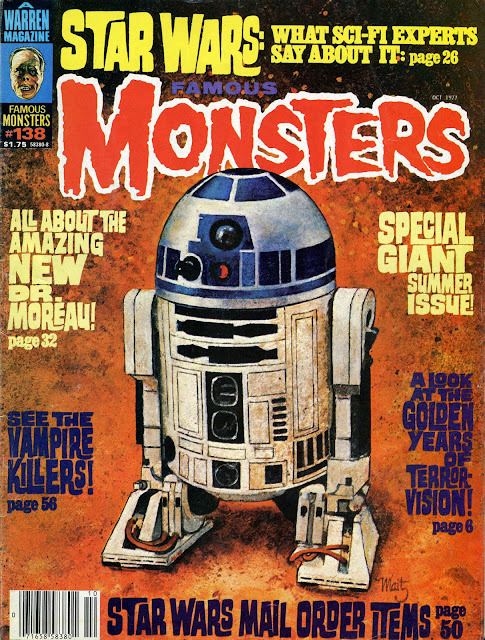 Publication dates seemed fairly sporadic but - I think - Starlog aimed to get issues out during the TV season and then 'rested' the magazine during the fallow summer months. Although the memory may cheat a little there. Ultimately, the magazine survived as long as the TV show did: clocking-up 30 issues between 1987 and 1994. Starlog repeated the formula for DEEP SPACE NINE (25 issues) and VOYAGER (19 issues). Poor ol' ENTERPRISE wasn't so blessed. 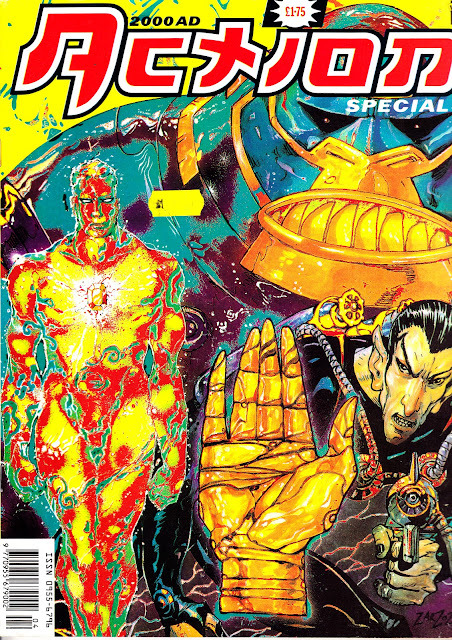 Copies were widely available through British comic book stores and some of the articles were also rerun in Marvel UK's lacklustre STAR TREK THE NEXT GENERATION comic, alongside reprints of the DC Comics' adaptation. 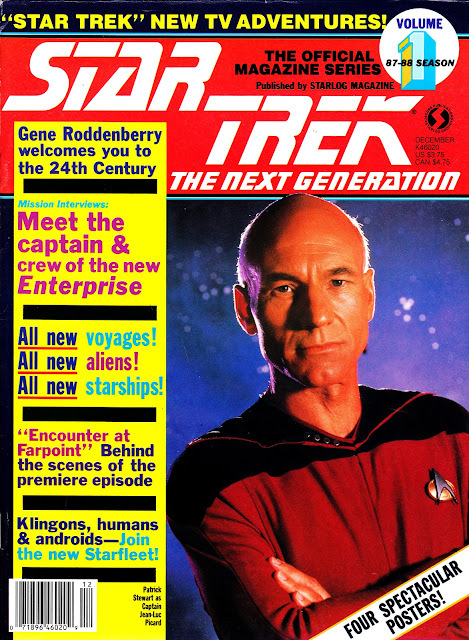 This first issue, published to coincide with the pilot, extensively featured the opener Encounter at Farpoint. 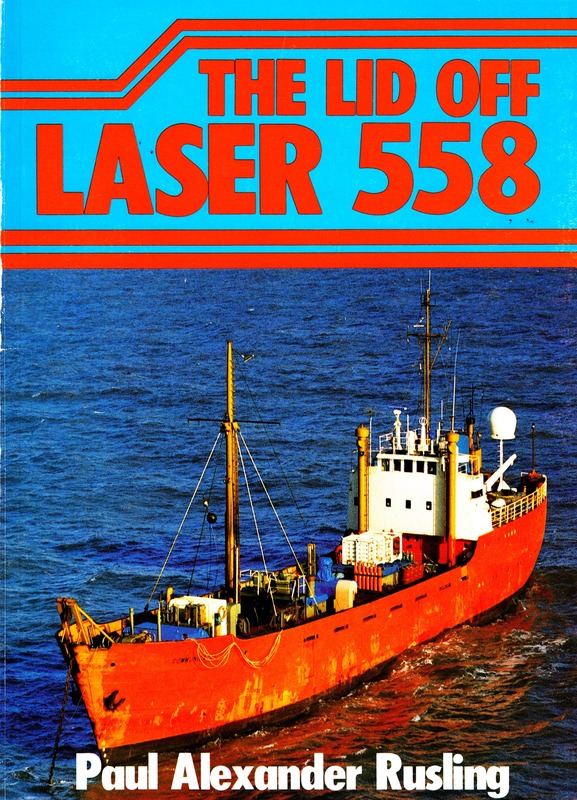 This is a 1984 paperback (from Pirate Publications) expose of offshore pirate radio station LASER 558, published whilst the MV Communicator-based outfit was capturing listeners, headlines and unwelcome government attention. I was 11 when Laser was on-air and I instantly became (to use offshore radio parlance) an anorak. I became intoxicated by the mix of hit music, minimal speech and advertising (which, of course, wasn't what Laser's management wanted), brash US DJs and buccaneering spirit. It made the BBC and ILR stations (with their commitment to sport and public service broadcasting) seem so dull in comparison. Things got even more interesting the following year when the government, under pressure from commercial companies who saw their audience haemorrhaging under this trans-Atlantic onslaught, dispatch a 'spy boat' to the international waters off the Essex coast to blockade the Communicator. That was Eurosiege 85 and Laser's night-time DJ Charlie Wolf supplied daily updates. Eventually, the Communicator succumbed to the siege and - suffering technical problems - limped into Harwich harbour. A story deemed worthy of a package on BBC Breakfast Time. The memory doesn't cheat: I've acquired several off-air recordings of Laser's output and they still give a nostalgic rush. There's also an excellent audio documentary, narrated by Charlie Wolf, which covers Laser's brief history available on CD which is well-worth seeking out. 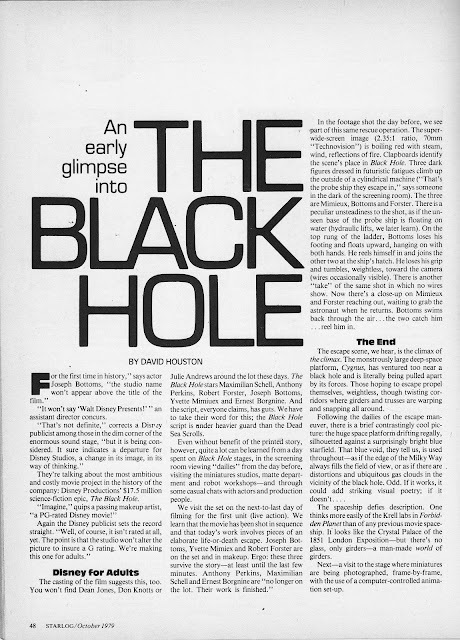 STARLOG issue 27 is the magazine that just keeps on giving: here's yet another article from that epic October 1979 issue, a preview piece for underrated Disney epic THE BLACK HOLE. Here's a house ad for Marvel's short-lived anthology of anti-heroes, HAVOC. The 1991 weekly managed a meagre nine issues before vanishing without warning despite a nice line-up of colour reprints. The 2000AD ACTION SPECIAL was a neat 1992 one-shot that revived a number of pre-Tharg British comics heroes (Steel Claw, The Spider, Mytek the Mighty, Cursitor Doom, Kelly's Eye and Doctor Sin) by giving them a modern twist. 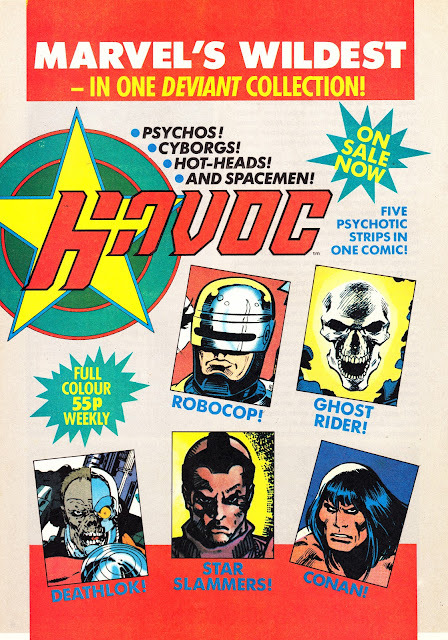 The special was produced and published on the assumption that the 1987 deal that saw Robert Maxwell buy IPC's comics business included the entire IPC/ Fleetway back-catalogue, assembled through the various mergers and acquisitions that built the IPC empire. What nobody realised until after it went on sale was that Maxwell, in typical slapdash fashion, had actually only acquired the rights to the comics still running in 1987 and their own particular archives of strips and characters. 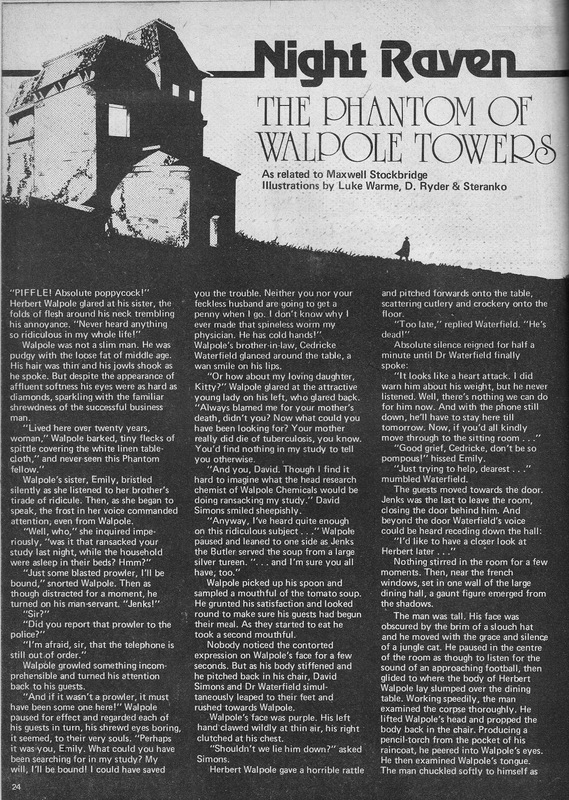 Anything earlier, and currently out-of-print, remained under the ownership of IPC. Whoops. 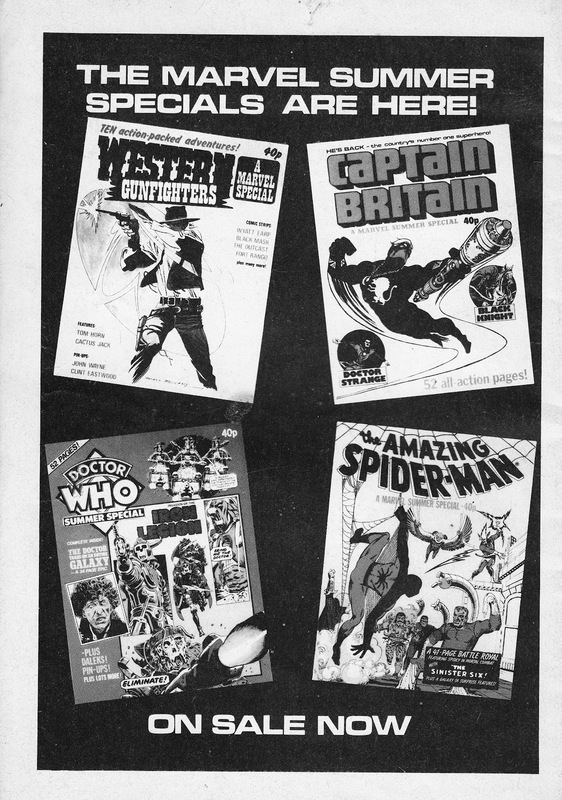 Below are the covers and contents page, along with a nice four-page text feature (by Lew Stringer) with background on the characters featured therein. 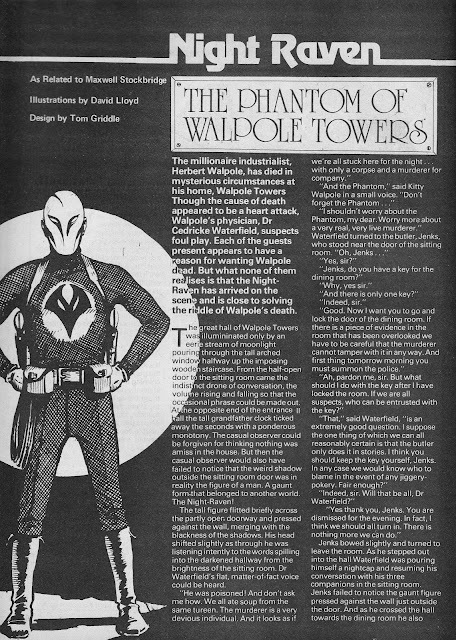 Hot on the heels of part one, here's the concluding part of the first NIGHT RAVEN text story from Marvel UK's SAVAGE ACTION monthly 1-2, first published during the final months of 1980. 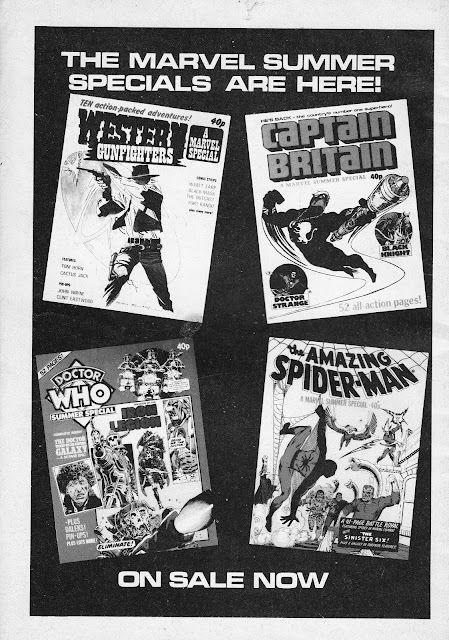 In addition to your usual dose of weeklies and monthlies, in the summer of 1980 you were probably reading one (or more) of these MARVEL UK SUMMER SPECIALS. 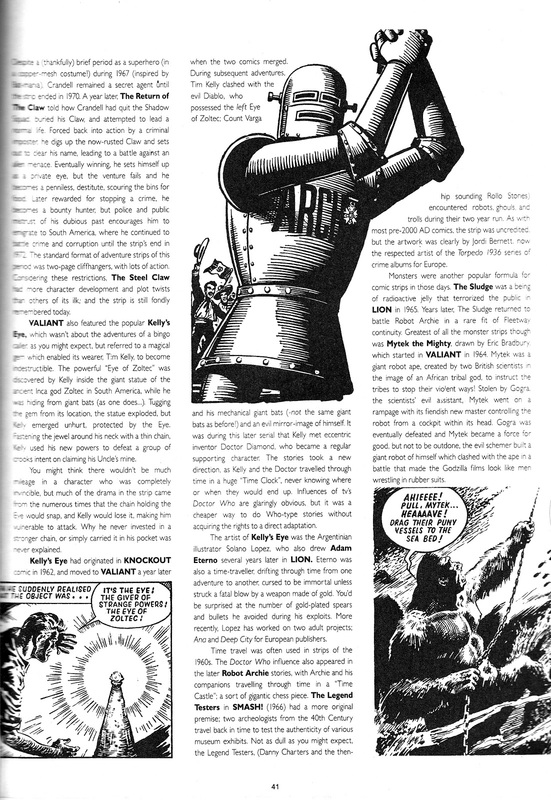 There's a couple of notable firsts herein: The DOCTOR WHO special is not only the first (of many) spin-offs from the weekly/ monthly/ magazine but also the first (of many) reprints of The Iron Legion, the first adventure from the 1979-launched weekly. 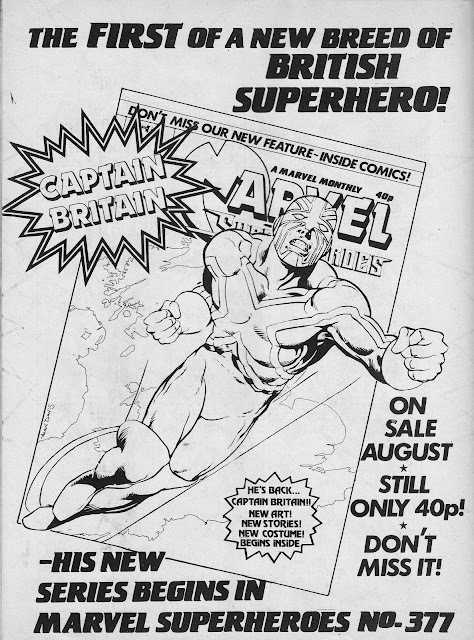 CAPTAIN BRITAIN was the first UK solo-outing for the nation's champion since his own weekly was unceremoniously axed back in '77 and, arguably, the beginning (along with his appearances in HULK COMICS' Black Knight strip) of his long road back. WESTERN GUNFIGHTERS was part of a run of specials that - inexplicably - tried to foist westerns on space-addicted Generation X-Wing. Good luck with that one. 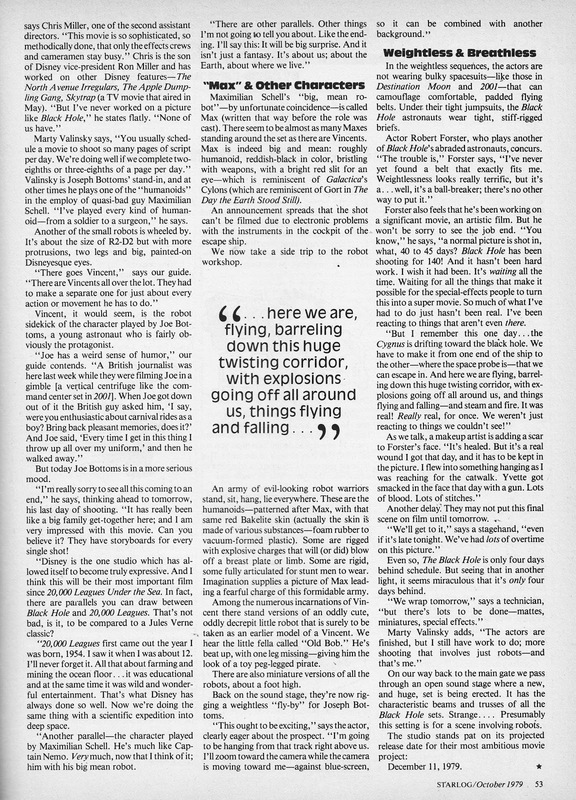 Less notably, the SPIDER-MAN one-shot was a spin-off from the weekly. 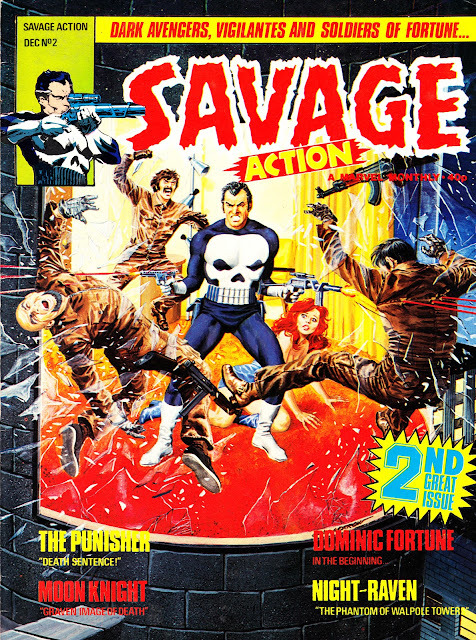 This is another blast (literally) from the Marvel UK archives: the launch issue of SAVAGE ACTION (A Marvel Monthly) from November 1980. 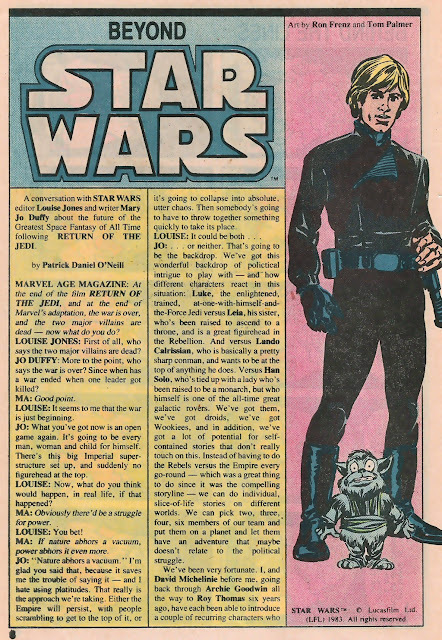 SA (which ultimately ran 15 issues to January 1982) was a "mature readers" title before anyone even knew what that meant. 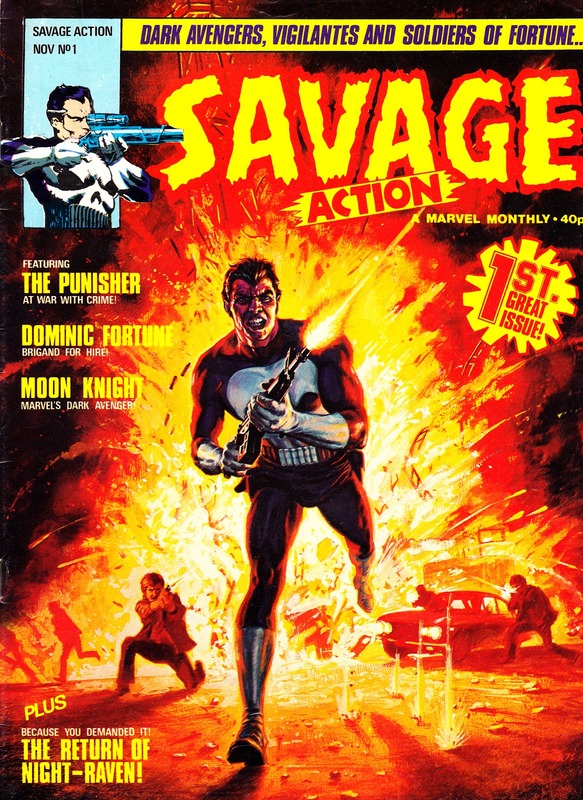 The monthly pulled together the likes of The Punisher, Dominic Fortune, Moon Knight, Blade, The Black Widow, Man-Thing (again! 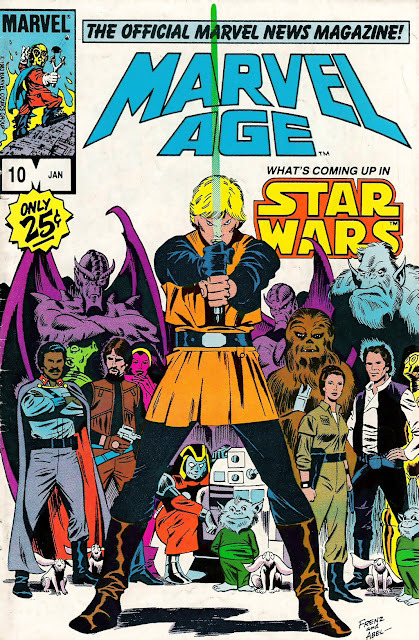 ), Man-God and Ka-zar ('savage' action, geddit?!?) 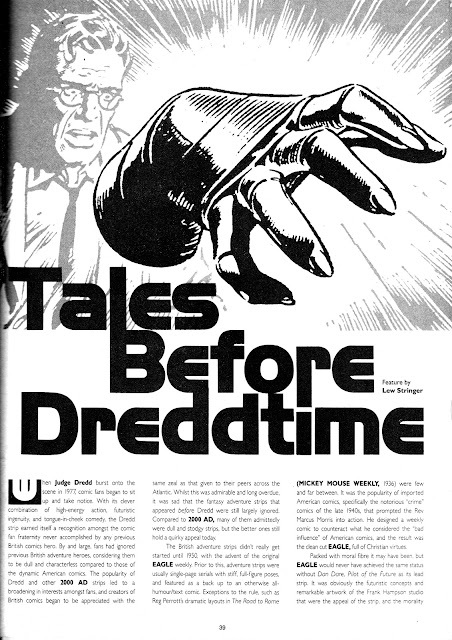 from Marvel's US black & white magazines. 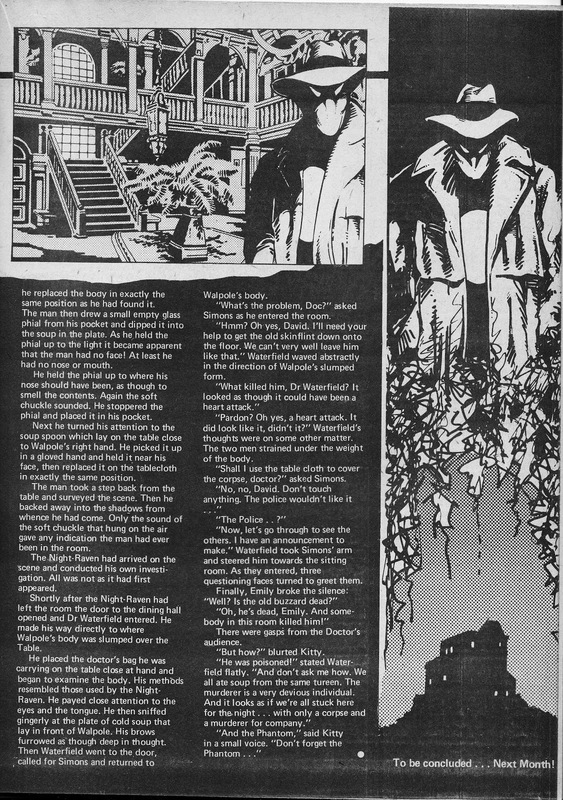 Amongst the reprints, the two standouts were the NIGHT RAVEN text stories which revived the character last seen (until the money ran out) in the pages of HULK COMIC and (beginning in the seventh issue) the text feature INSIDE COMICS. The text stories demonstrated remarkable longevity and survived the cancellation of SA and continued, through a variety of titles, until the demise of CAPTAIN BRITAIN monthly. Unlike the original NR strips (albeit decades ago), they've never been collected in book form. 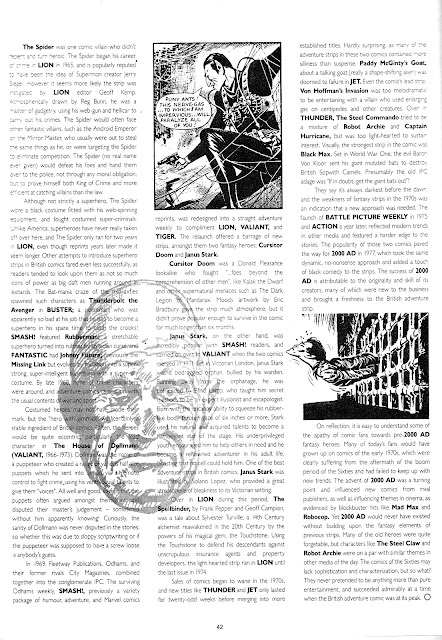 Inside Comics was, as the title suggests, a regular text feature that appeared across the monthlies with a wandering brief to write about anything comics related that took the author's (including one Alan Moore) fancy. This is where it all (re)started: Here's the 1981 Marvel UK house ad that heralded the return of CAPTAIN BRITAIN.